Cartecay Vineyards and winery is just a short 25 miles drive from Blue Ridge to Ellijay, Georgia. It features 13 acres of rolling hills full of robust grape vines, a historical barn tasting room, a chimney stage for concerts, a full winery, and more! You will love touring this vineyard and winery and tasting their full-bodied, unique wines. 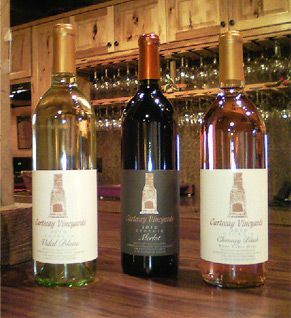 Be sure to add Carecay Vineyards to your intenerary for your next trip to Blue Ridge.